Since its inception in year 2000 at KK Handloom we are the leading suppliers of a variety range of Maharashtrian Sarees like Yeola Paithani, Brocket Paithani, Special Padar Paithani, Benarasi Silk Paithani sarees and many more at our Saree hub. Kapse Paithani is the perfect destination with a huge collection of Indian Traditional and Ethnic wear. It is a one stop shop with a variety of choice befitting choice of every woman. 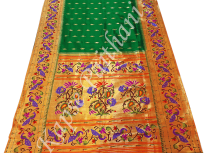 Indian wears are popular because of its beauty of print, artwork, detailing of designs and quality of fabric soothing to skin of every wearer which adds glamour on every occasion. Mainly in Maharashtra, Saree is the most elegant wear and the oldest form of women?s wearing, with the change of time a variety in its manufacturing and printing has been introducted. 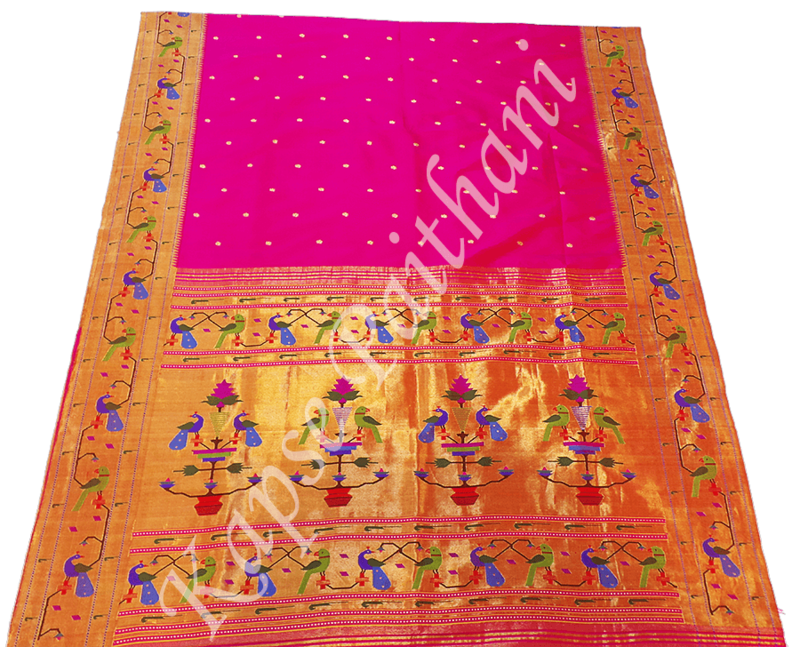 Here at Kapse Paithani team at the backend with their vast experience always strives to maintain the ethnic beauty of artwork with the modern touch of print. Since 15 years making beautiful Paithanis. 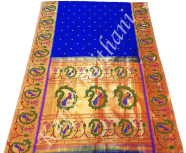 Wide range of Paithani to choose from. Elegant and Traditional artwork with modern print. Satisfied customers around the world. We do at-least 5 testing before products get hand-over to you.
" Hi Thanks alot for the information and the shipments. I have received the sarees and I am more than satisfied. I will get more sarees from you guys. The sarees looked exactly how it is displayed Thanks. Priya Sharma United Kingdom"
" I ordered a Banarasi Silk Paithani saree from Kapse Paithani and it was delivered to me within 5 days to US. The service was so excellent. Whenever I call Kapse paithani, they are so humble and nice. 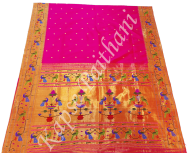 I highly recommend Kapse Paithani for any saree puchase." " I live in Madhya Pradesh, India. 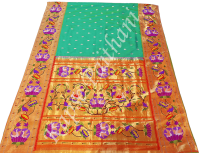 For Paithani sarees,Kapse paithani is the Best Paithani Manufacturer . Affordable price, awesome service and their timeliness is very appreciative.Kapseji is very easy to work with and he will understand exactly what you are asking for. This is the best place to buy sarees. Thanks Gazal Gupta, Madhya Pradesh." "Fantastic service, awesome blouse stitching. Delivered the saree on time. Highly recommend this website. Thanks Shraddha Salunkhe Nasik"
"My Cousin's Wedding took place yesterday in Mumbai. I had ordered a sari from Kapse Paithani as a present for her. She loved Special padar paithani so much she wore it for the wedding ceremony. I will defintely order saris from this place again. " " Your Saree has Brightened up the Celebration of my Mom's Birthday. Thanks a lot, I will shop Yeola Paithani Saree with Kapse Paithani. " It's placed right inside the Paithani Den ... Yeola. They serve you with all the latest things yet maintain their antique looks. Super place to buy Paithanees. 1) They have a huge car parking. So, though crowded , drive straight to their place. They display all boards everywhere. Excellent variety of paithani sarees super service...I did all my wedding shopping from here.Simply loved the shop! 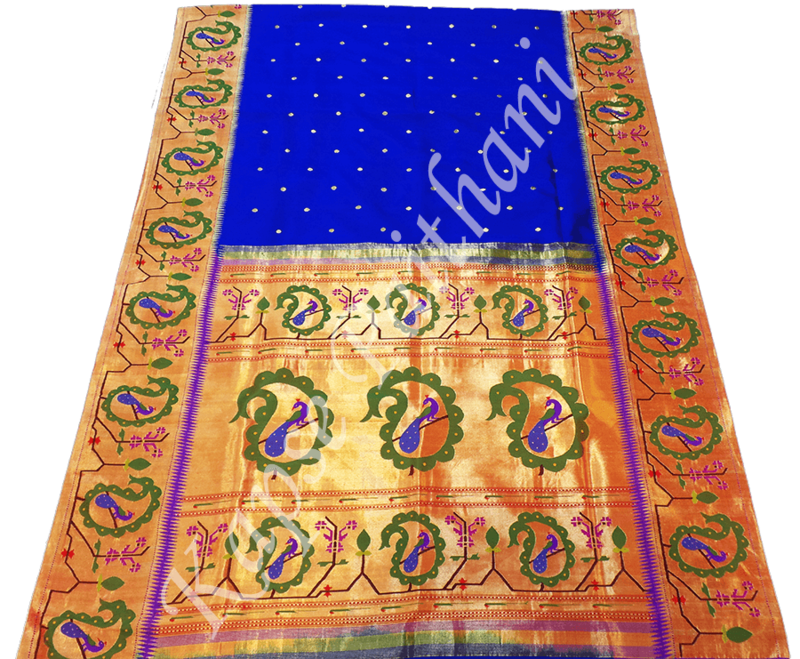 Very wide and exclusive range of Paithani and silk sarees. 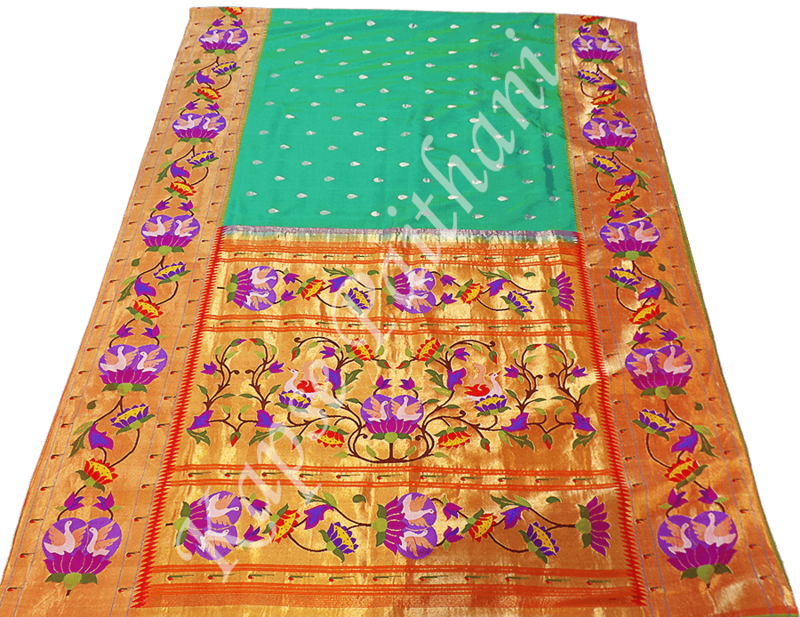 Paithani is a variety of saree, named after the Paithan town in yeola Maharashtra state where they are woven by hand. 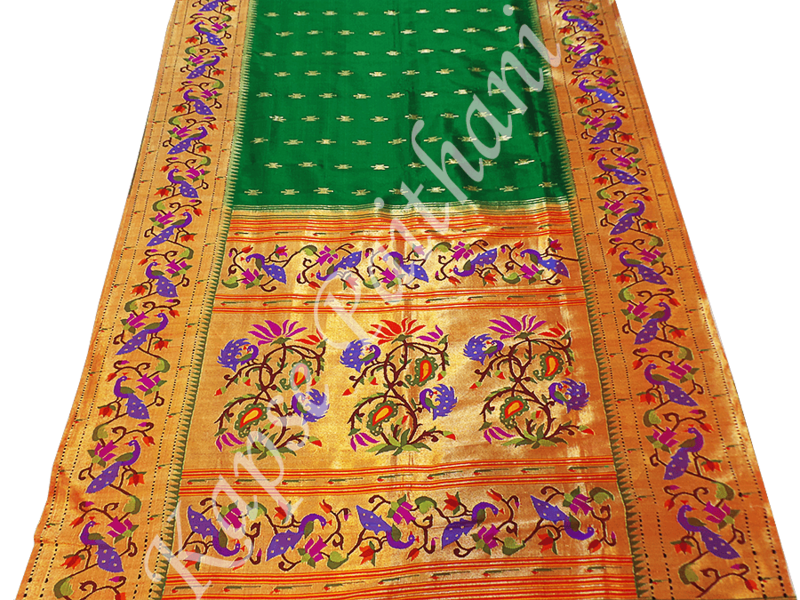 Made from very fine silk, it is considered as one of the richest saris in India. Copyrights © 2017 Kapse Paithani. All rights reserved.